The bio of Frank Jordan | Launceston Then! Frank was born on the 27th of February 1905 to William and Alice Jordan at Garcia Terrace, Launceston. His father was a tailor and also a member of Launceston town council. William was the first Labour magistrate appointed in Launceston. As a youth Frank played for the Launceston Juniors football team. On leaving school Frank left Launceston to train as a hairdresser at Bideford and London. It was at Bideford that he met his wife Leonora Pearson (below) and they married in 1930. In 1932 Frank returned to Launceston establishing his own Ladies hairdressing business first in High street and later on in Southgate street. They set up home at ‘Franklen’ Dunheved cross. He continued his love of sport by joining the Dunheved Tennis club and remained a member of the Dunheved club in later life this time playing Bowls. He served with the Royal Navy during the second World war spending 4 ½ years aboard various aircraft carriers. On his return from the war he took an active role with the Freemasons and in 1964 became the Worshipful Master of the Dunheved Lodge. Frank was active in public life having served at one time as president of the Launceston Chamber of Trade, vice-chairman of the Carnival committee and a trustee of the Launceston Eventide Trust. He had connections with many more organisations, but he was most prominent with his work for the Rotary club. He was the founder secretary of the Launceston Club, subsequently becoming its forth president; he rose to district office within three years as vice-chairman of the district 117, comprising the whole of Devon and Cornwall, and then he became District chairman. It was in this capacity that he and his wife went to America in 1962 for the international Rotary convention. 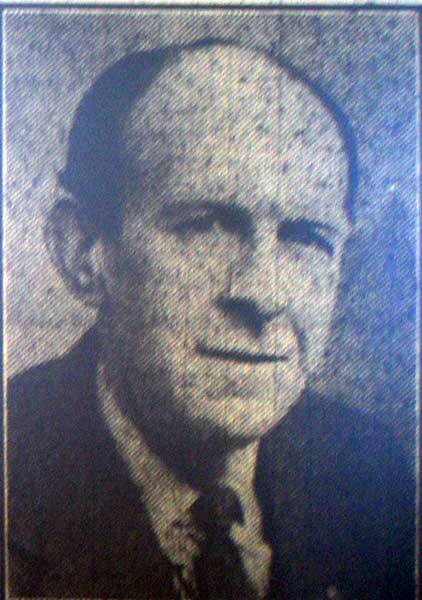 He also served upon the Launceston town council being elected in 1959 and in 1964 he was made mayor of the town. He again served as mayor in 1970, the year that Prince Charles paid his first visit to the town. Frank passed away at the end of 1974. 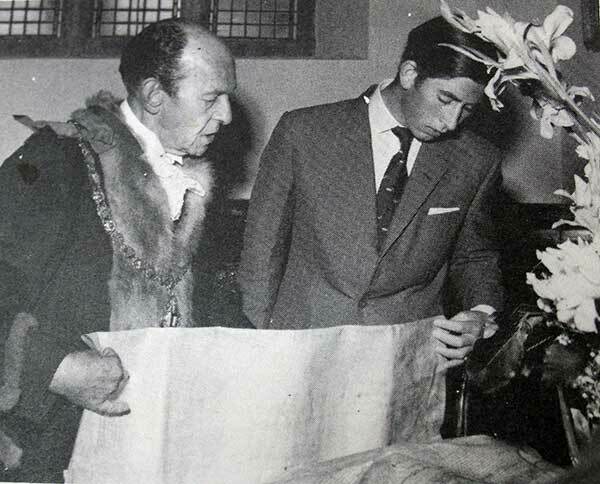 Mayor Frank Jordan shows Prince Charles some of the Borough’s ancient documents in 1970. 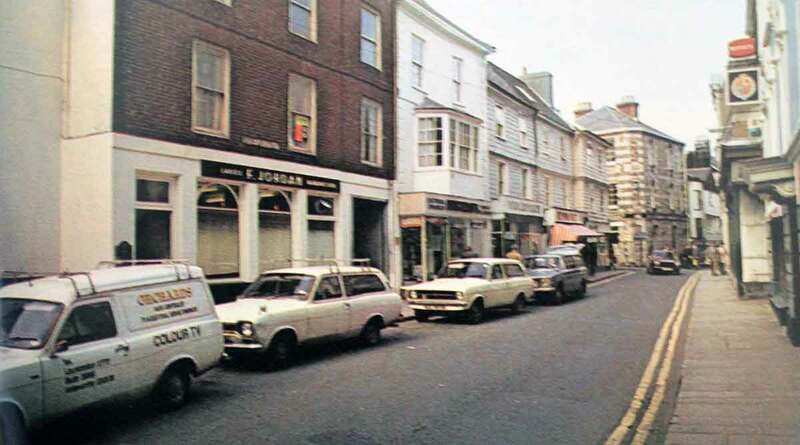 Frank Jordan’s hairdressing shop in Southgate street, Launceston in the mid 1970’s.